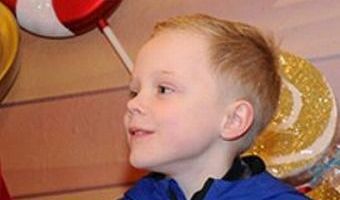 Where are Santa’s grottos in and around Greater Manchester this Christmas 2018? Christmas is coming - which means it's time for your little ones to pay a visit to the main man. We all know Santa makes a flying visit to see what all the girls and boys want for Christmas, so we're making sure you know exactly where to find him this year. We've already featured the the much-anticipated Trafford Centre grotto, which this year is themed around Peter Rabbit. Here, we've compiled a list of some of the main grottos in and around Greater Manchester. Santa's Snow Grotto at Chill Factore, Trafford Chill Factore, at the rebranded Beyond, is the home to the UK's only Santa’s grotto on real snow. A traditional Lapland home, the grotto is surrounded by sparkling trees, glistening lights and Santa’s helpers. All of Santa’s guests receive a special gift on the day and are able to access snow fun in either Mini Moose Land, for under fours, or the Snow Park. Prices start at £11.50 for little ones to meet Santa and have a trip to Mini Moose Land. For … [Read more...] about Where are Santa’s grottos in and around Greater Manchester this Christmas 2018?